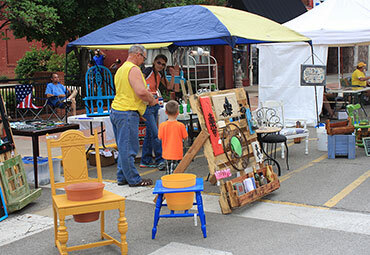 The Clinton Route 66 Festival is a local favorite, as it's predecessor the Clinton Hot Dog Daze dates back over three decades. 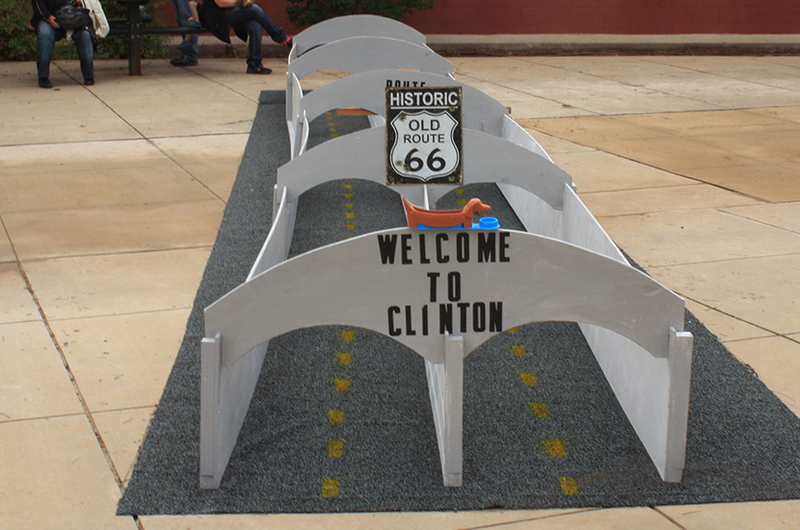 Back in 2007, Clinton was the host of the National Route 66 Festival and at that time combined the famous Hot Dog Daze and the local car show to boast an even bigger event as the national Route 66 Festival came through town, add in a wiener dog race and there you have a fun filled day. 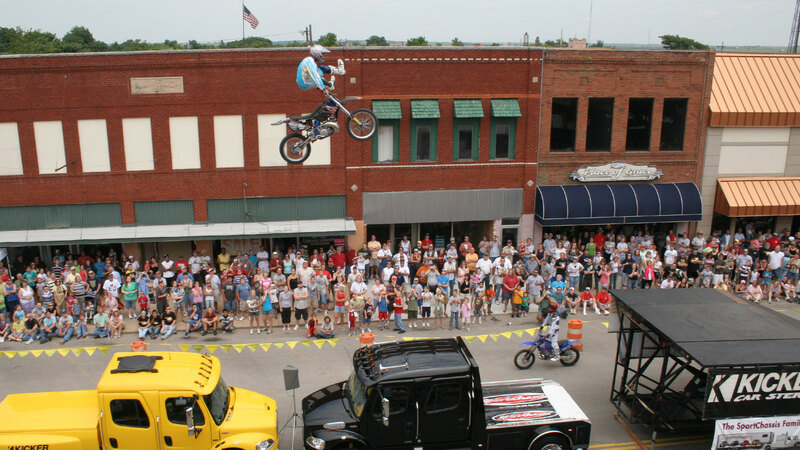 Saturday’s activities will take place in in the downtown area on Frisco between 4th and 10th Streets. Activities will include a 66 Sidewalk Chalk Contest, Car Show, Weiner Dog Races, hot pepper contest, a kids car race, lots of great food, and a variety of vendors. 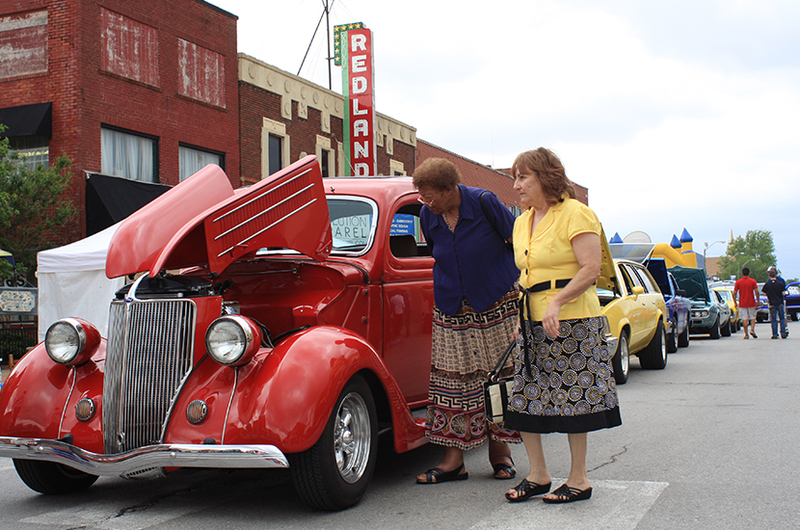 Registration for the Car Show begins at 7:00 a.m. at the corner of 10th and Frisco. At 10am the festival officially kicks off and registration for the Weiner Dog Races begin at 12:30pm just next to the yellow track which will be at 5th and Frisco, just prior to the races. Anyone wanting to impress your friends can enter the hot pepper eating contest at 12pm. 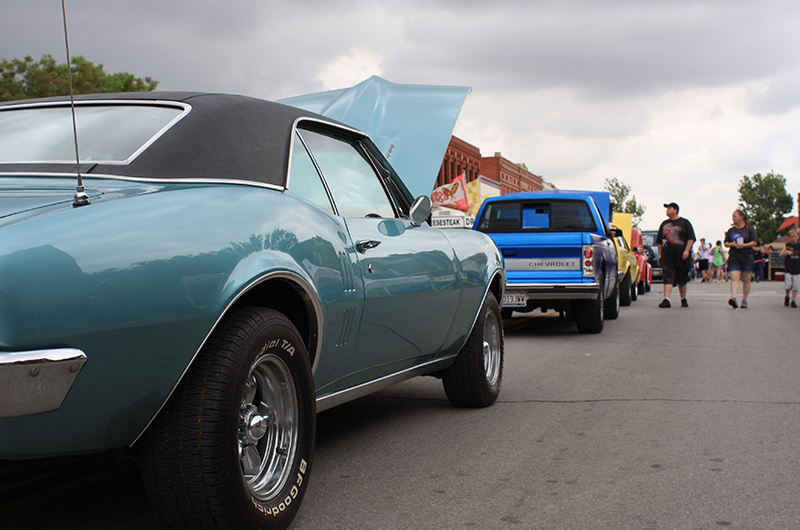 The Car Show wraps up at 3pm with recognition and trophies to be awarded. 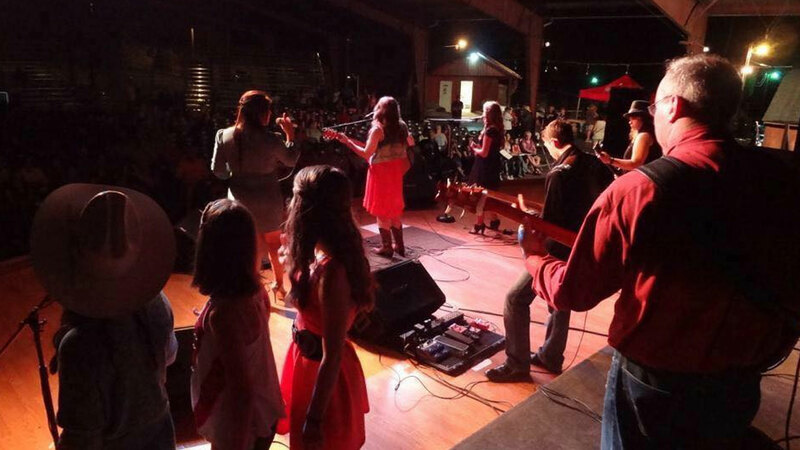 Free concert downtown at 7pm thanks to the Clinton All School Reunion. An entire day of fun. A dozen events to enjoy. We have a full day planned for you. Click on the event for more info. Come Early and get your car registered. 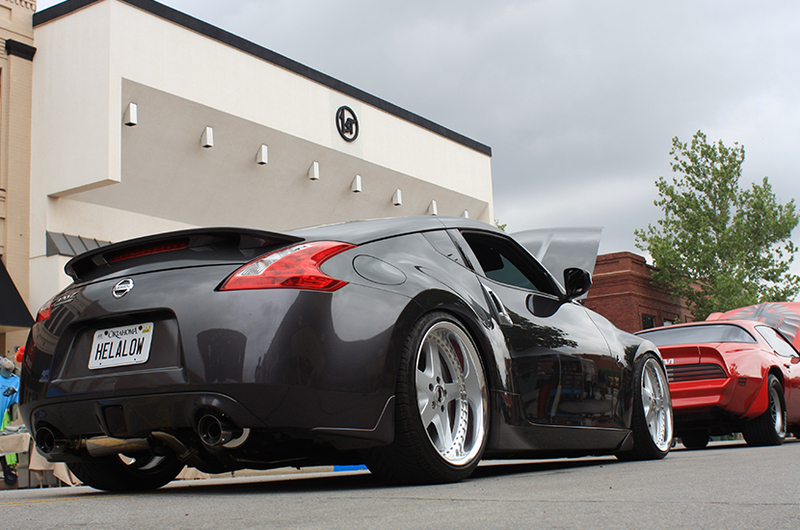 Bring your wheels and show 'em off. fun youth orbited family type musical showcase. Bring your toddler and a 12v Vehicle to claim the trophy for Clinton's Fastest Kid. Better bring a wet rag and a cold glass of milk to follow your victory! 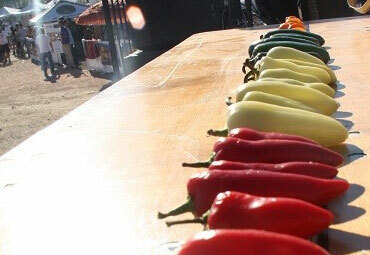 Participants will attempt to eat the biggest pile of jalapenos for the victory and bragging rights. We have tons of cash and prizes to hand out, so, be sure to get yours. Bring your victory putter! Come claim the bragging rights. Bring the whole family for a full day of fun, downtown Clinton and an evening performance at McLain Rogers Park! 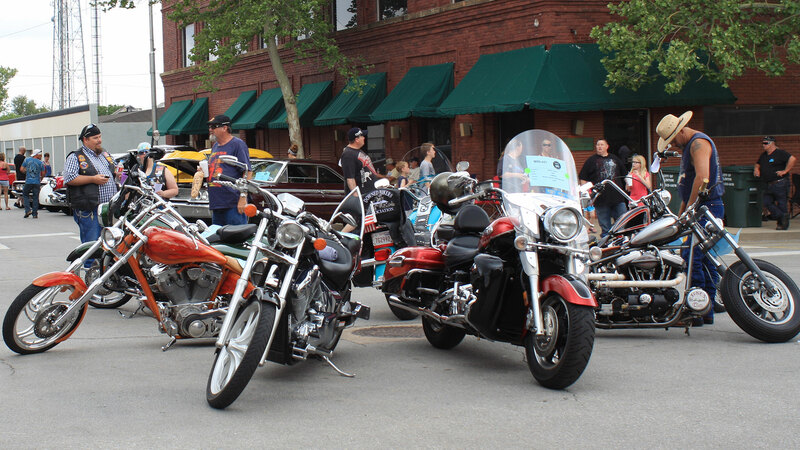 Charge up your 12 volt rides and head downtown. Bring your fastest wiener and enter. Save the date and shine up that sweet ride you've been hiding. Do you have what it takes to sweat through and claim the championship. 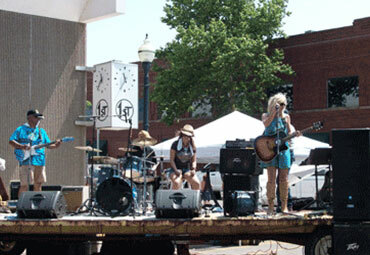 We will have live music from Oklahoma Kids all day downtown. Then join us later for the full performance at the amphitheater. 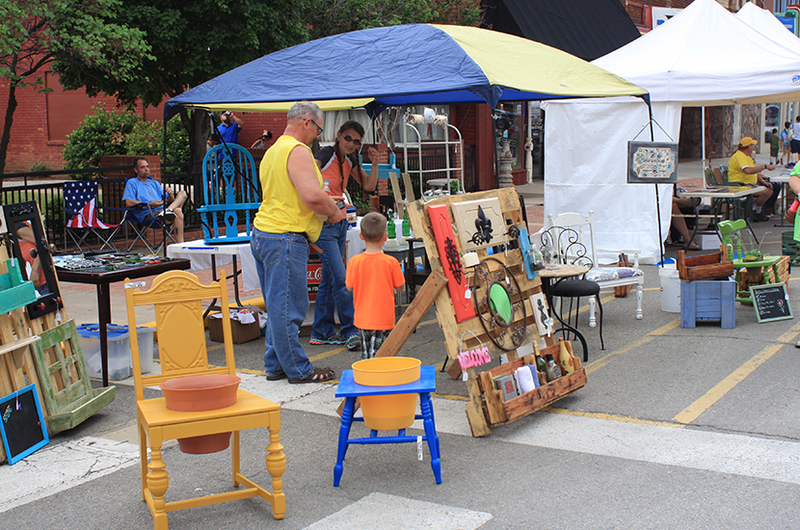 Come do your shopping and enjoy all the fun stuff. 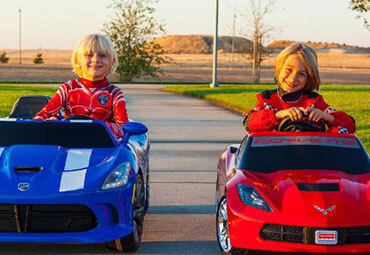 This is what your kid has been waiting for all year; so, head downtown and lets race!. This is your chance to show everyone just how fast of a wiener you really got!!! 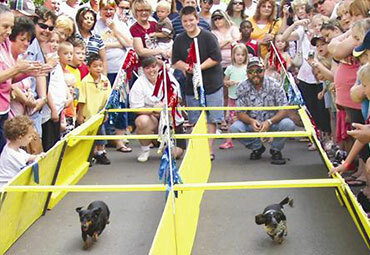 Come for the fun or come for the glory, the wiener dog race is the most popular event of the festival so dont miss it. Get your dog in proper racing order. Come bring your car down and drop it off or plan to hang out for the day. 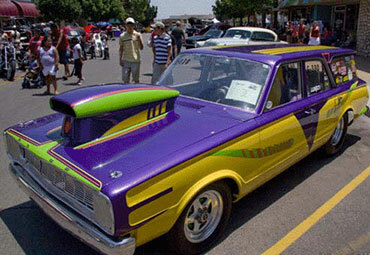 Our car show is a local favorite that attracts competitors from all around. This is one not ot miss. Dont miss your chance to show everyone who is the BOSS OF PEPPERS! Do what you have to do to prepare for the victory. But you must keep your peppers down to take the cash. 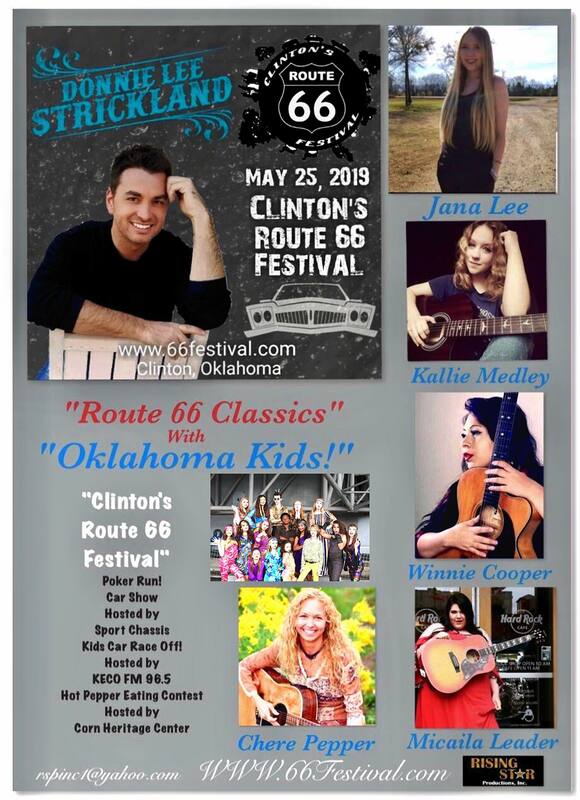 We will have live music on stage from Oklahoma Kids all day downtown during the events. Then join us later for the full performance at 7pm at the McLain Rogers Park amphitheater. Oklahoma Kids, Donnie Strictland, plus the Violinist,James Ruggles with Flamenco Guitarist Johnny Beard and classical guitarist Joesf Glaude. From folk to rock n roll we will have the event covered. This is a great chance to shop for the things you cant find every day!. we have vendors lined up from artists to belly dancing apparel. We will have a little bit of something for everyone. 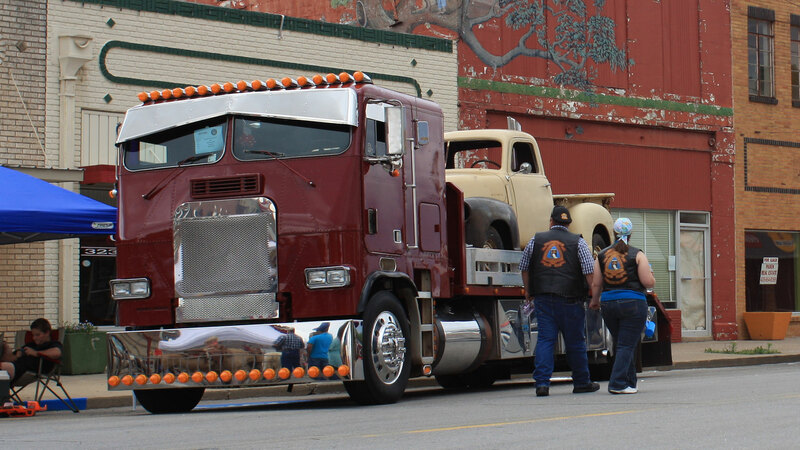 The Clinton Route 66 Festival would not be possible without the following businesses participation. A huge thank you goes out to these guys! We expect you to have fun. So, come participate in the activities.